The main effect of calcium channel blockers is the blockade of calcium entry into cells through voltage operated calcium channels. This volume gives a comprehensive overview of the different classes of CCBs and their various effects. It covers historical development, pharmacology, clinical aspects, and perspectives. 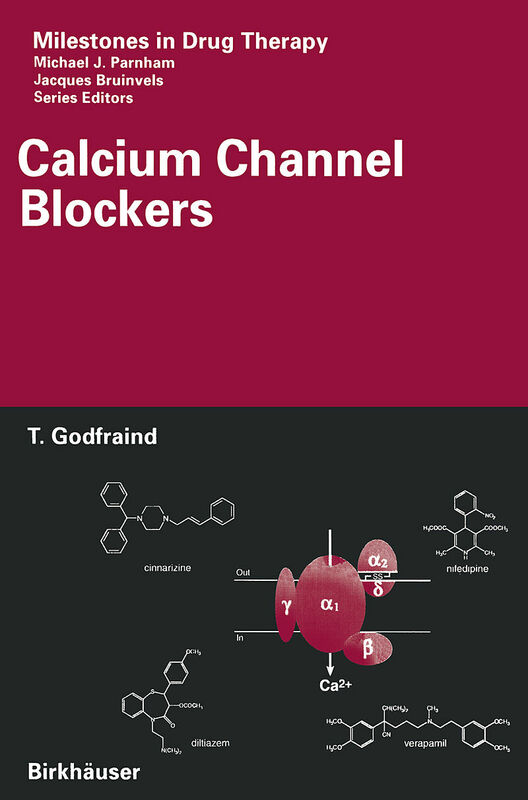 All chapters are written by Prof. T. Godfraind, a world leading expert in the field. Preface.- Acknowledgements.- Historical perspective: from early steps on calcium research to the identification of calcium antagonist prototypes and of the signaling functions of Ca2+.- Calcium channel blockers and calcium channels.- The action of calcium antagonists onCa2+ movements in isolated vessels.- The tissue selectivity of calcium antagonists.- Acute haemodynamic effects of calcium channel blockers.- Calcium channels and regulation of vascular tone in hypertension.- Long-term effects of calcium antagonists.- Blood-pressure independent effects of calcium antagonists.- From early clinical studies to randomized controlled clinical trials.- Beyond the cardiovascular system.- Index. 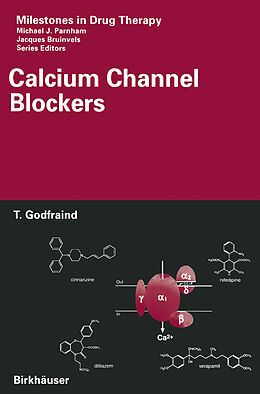 Historical perspective: from early steps on calcium research to the identification of calcium antagonist prototypes and of the signaling functions of Ca2+.- Calcium channel blockers and calcium channels.- The action of calcium antagonists on Ca2+ movements in isolated vessels.- The tissue selectivity of calcium antagonists.- Acute haemodynamic effects of calcium channel blockers.- Calcium channels and regulation of vascular tone in hypertension.- Long-term effects of calcium antagonists.- Blood pressure-independent effects of calcium antagonists.- From early clinical studies to randomized controlled clinical trials.- Beyond the cardiovascular system.